After losing seven seniors and all five starters – and virtually starting anew with 10 freshmen – the 2008-09 women’s basketball team appeared destined for a rebuilding year. It was anything but. 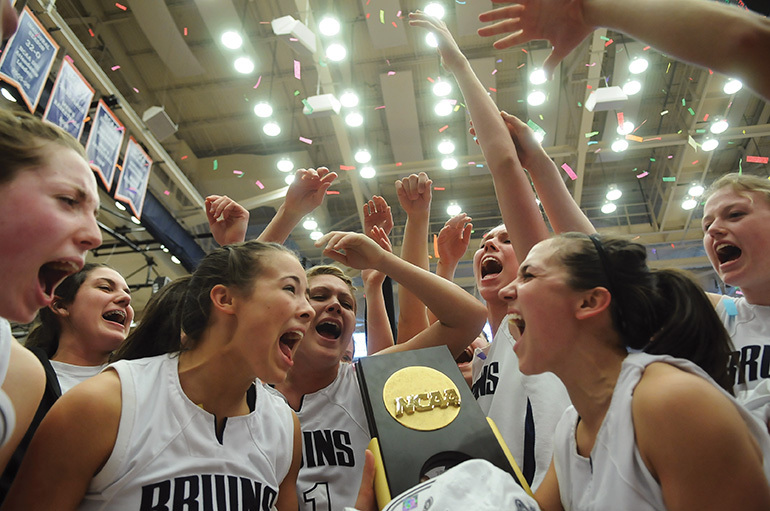 The Bruins, led by 13-year head coach Scott Rueck, stormed to a Northwest Conference title, a 27-0 regular season and a 5-0 run in the postseason to finish a perfect 32-0. George Fox capped it off with a 60-53 victory over Washington University of St. Louis in the NCAA Division III title game.